I have a few, very important rules I live by. 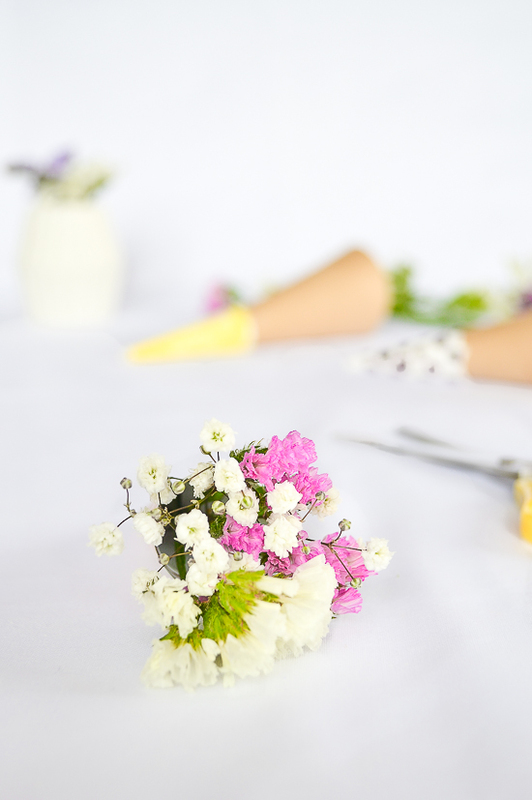 One of them is, whenever there are flowers, colorful drinks, girly fun and dancing on the tables involved, I’m in. Women’s day is certainly this kind of occasion so I’m looking forward to celebrate it big time. Do you have any plans? I’m going to London to visit my friends and have a girls night out. So far the plan involves: comedy show in the afternoon, bubbles, dinner and desserts, more bubbles, and then a night with continuous dancing like no one is watching. Well, knowing my dancing skills, it’s better that no one is. 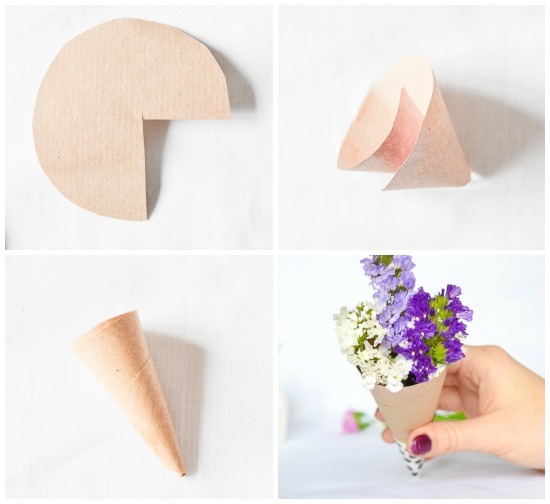 Cut the shape you see below, out of a brown wrapping paper and roll it, forming a cone shape. Secure outer flap of the cone with a tape. 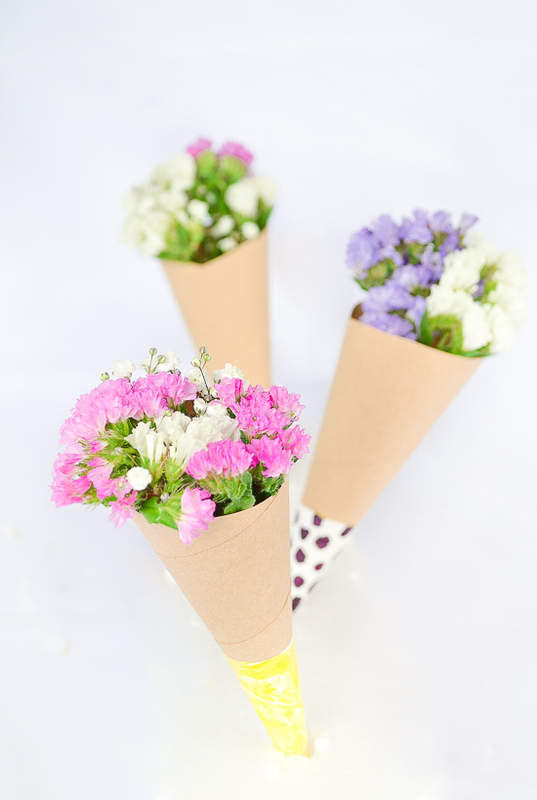 To make colorful endings – repeat the same procedure with previously colored white paper . Size of the colorful endings should be about 1/3 of the brown cone. Once you’ve got two cones, place one inside another and secure with a double sided tape. 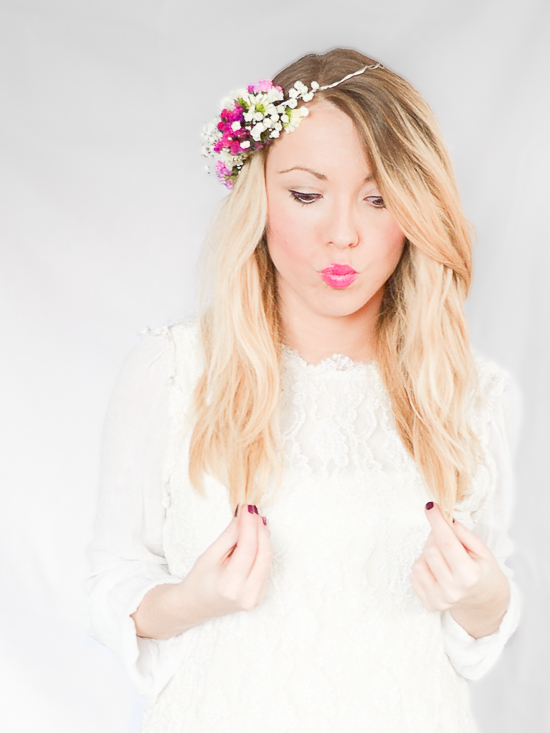 Take a wire and wrap it around your head to establish the right size for your flower hairband. 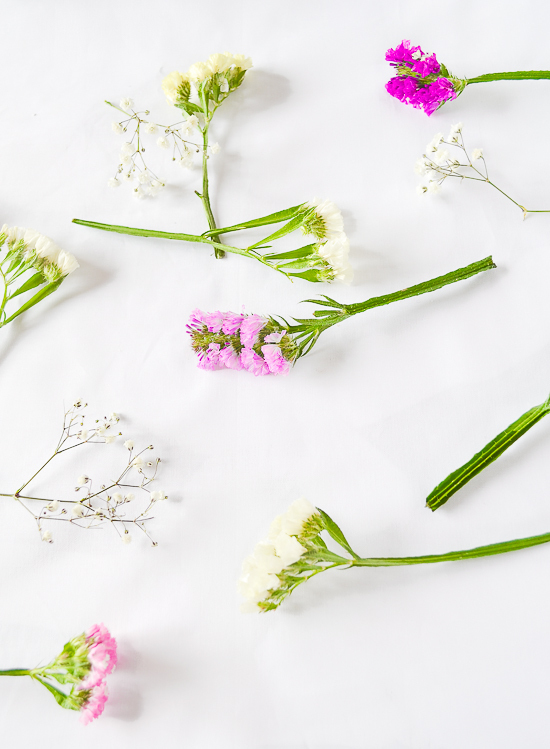 Once you’ve got your size, choose your favorite flowers and start adding them to the wire ‚crown’, wrapping small pieces of wire around the flowers to secure them. 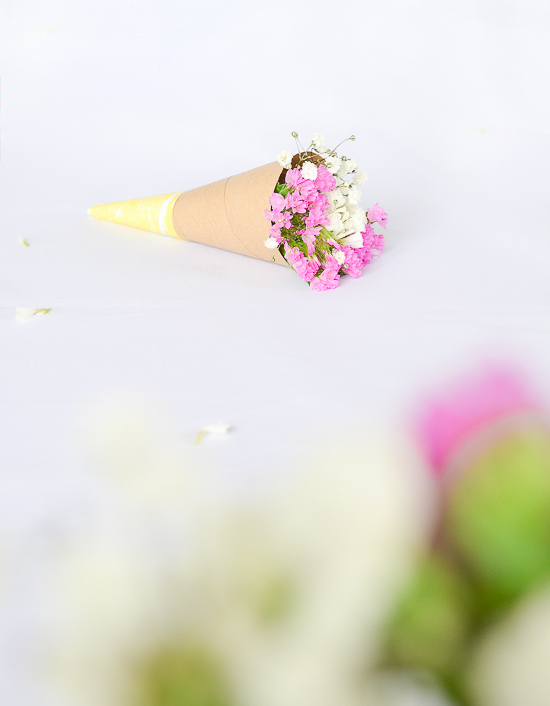 I really like how the flower cones turned out, they look so ice-cream kind of sweet, that I want to eat them. Are you going to be making some? 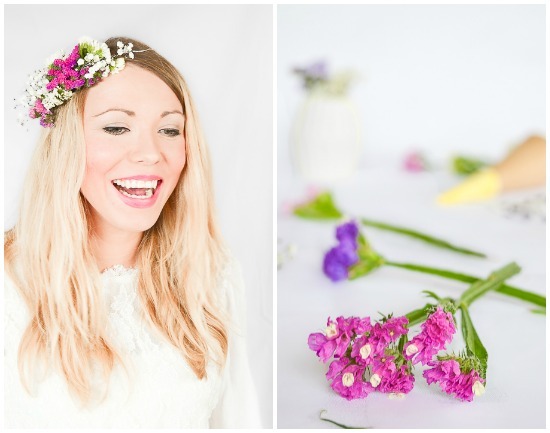 What about the flowers hairband? 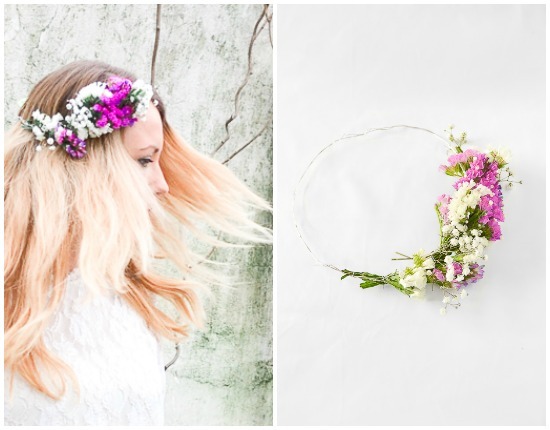 Nothing feels better than flowers in the hair, it’s the best accessory ever. As they say, I’d rather wear flowers in my hair, then diamonds around my neck. OJ TO JA !!!!!! !ja wolę nosić kwiaty we włosach niż diamenty na szyi :))))))) Aga aż mi w pięty poszło tak pięknie to wszystko zaprezentowałaś ……:)))))) już niczym mi się nie uda Cię zaskoczyć noooooooo ….PIĘKNIE na fotkach ,PIĘKNA Ty ,PIĘKNE po całości …buźka !!!!! This is a fun and beautiful post! 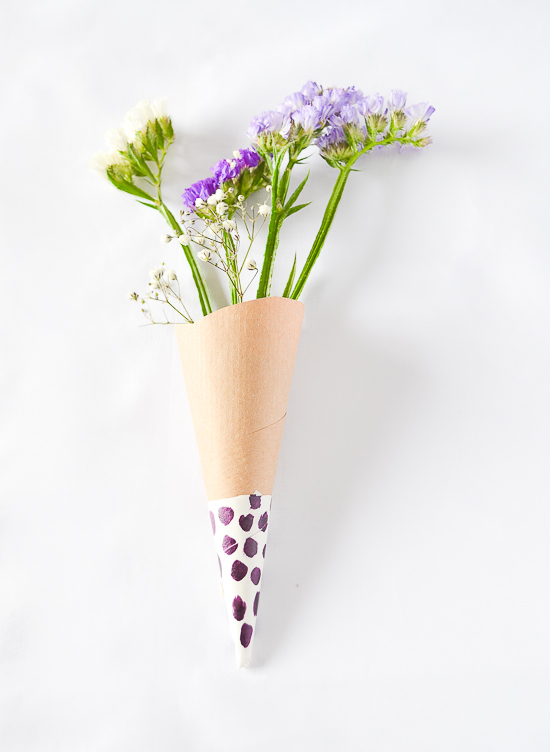 It’s Mother’s Day on 15th March so I’ll definitely have a go at the flower cones for my mum. The crown I will make for myself! Enjoy your dancing and bubbles. Sounds like my perfect day! 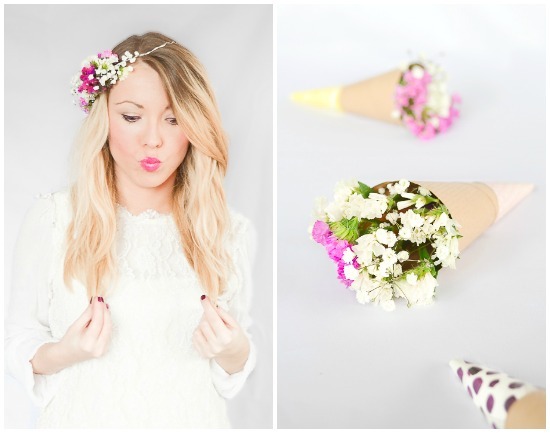 I live by the same rules 😉 Great tutorial on the cones, and you look gorgeous with your flower crown! Oh yes, this particular rule is one of my favorite 🙂 Thank you Amy! And i want to say that i lov your DIY!! 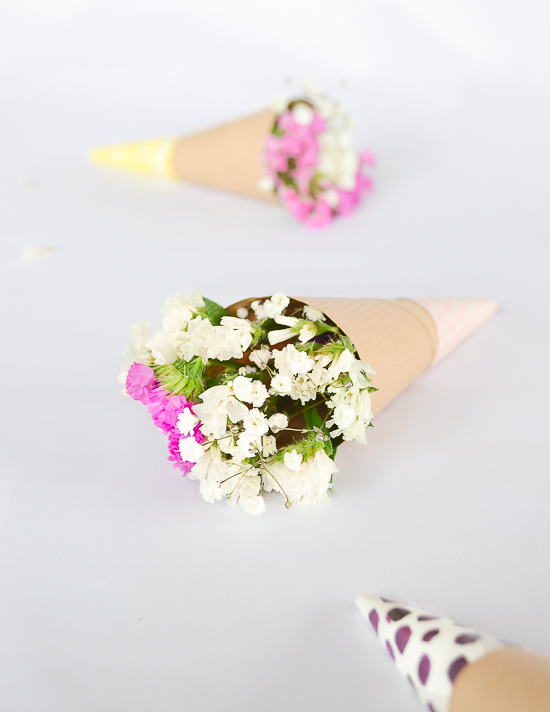 seriously so awesome, i will try this flowers cones some day very soon! Every single detail is perfect Aga!!!! Love! Just beautiful and ypur photos are amazing! Wish I could join you gals on ypur Women’s day celebration , it sounds like great fun!